PaleoJudaica.com: Top ten archaeological discoveries relating to Hebrew Bible? 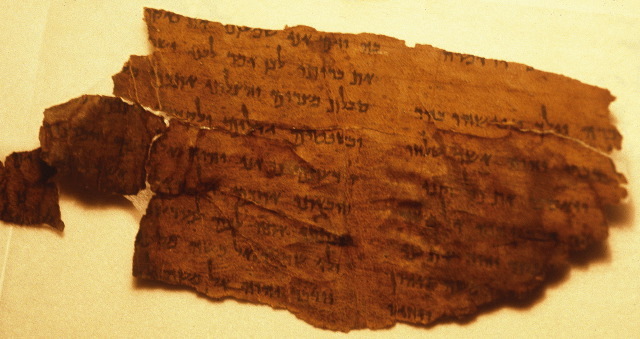 Top ten archaeological discoveries relating to Hebrew Bible? THE BIBLE ARCHAEOLOGY REPORT BLOG: Top Ten Discoveries in Biblical Archaeology Relating to the Old Testament (Bryan Windle). Overall this is a pretty good list, although I do not endorse some of the interpretations put on the finds. For example, it is a big stretch to use the Merneptah Stele as evidence for a fifteenth century B.C.E. Exodus. If there was an Exodus at all, archaeological evidence for it happening in the fifteenth century is sorely lacking. And not because no one has looked. I also am surprised not to find any reference to the excavation of Ugarit in Syria and the recovery of the alphabetic cuneiform Ugaritic language and literature. Perhaps Ugaritic is excluded because it is not "directly related to biblical people (or people groups), places, or events" (his emphasis; although perhaps we need to have a conversation about Canaanites) nor "related to the composition of the Bible itself," at least for some values of that phrase. But any list of top archaeological discoveries relating to the Hebrew Bible that does not include Ugaritic is incomplete and the criteria for the list need to be rethought. Ugaritic has given us an enormous amount of information about the history of ancient Hebrew and related languages and about the mythology and epic traditions that lie behind many stories in the Bible. In this context I would list it as second in importance only to the Dead Sea Scrolls.